When allergy season rolls around once again, most of us stock up on tissues and over the counter medications, bracing ourselves for the suffering to come. 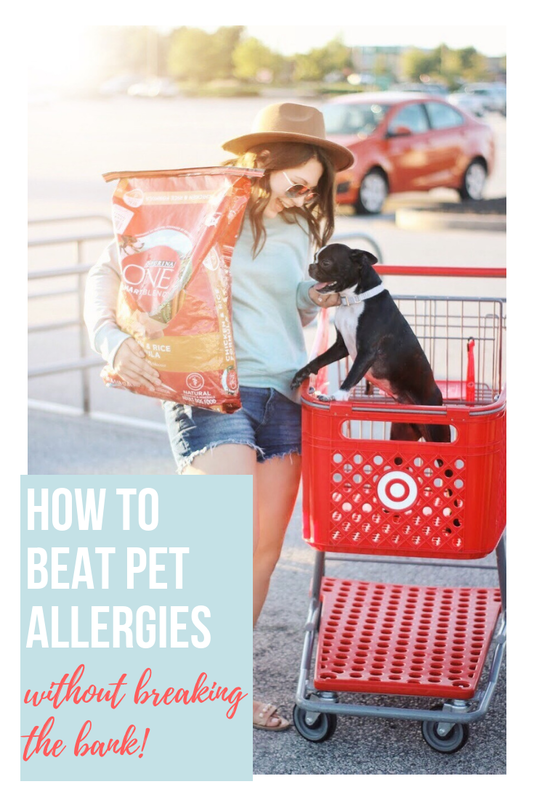 But have you ever thought about how your dog handles allergies? 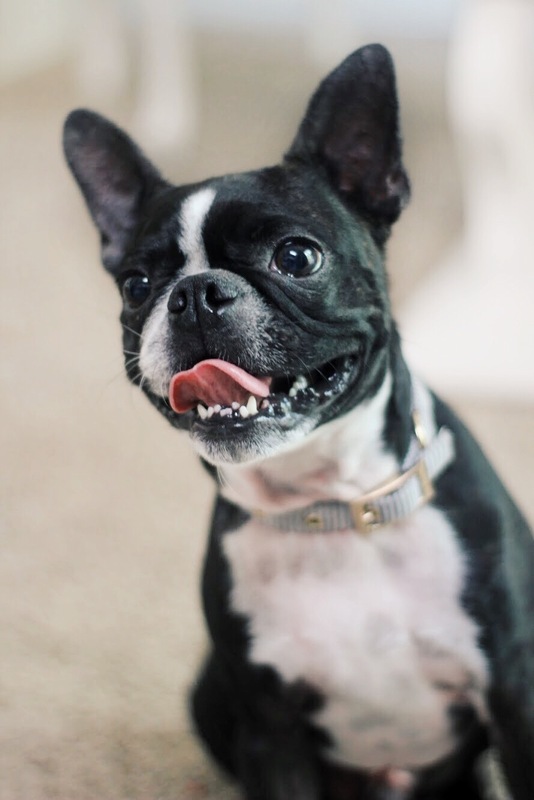 Our Boston Terrier, Winston, has always been prone to skin sensitivity and seasonal allergies, but nothing we tried seemed to do the trick--that is, until we changed up his diet! We finally found the perfect dog food for his needs (and our budget!) and the best part is, it's available at Target! 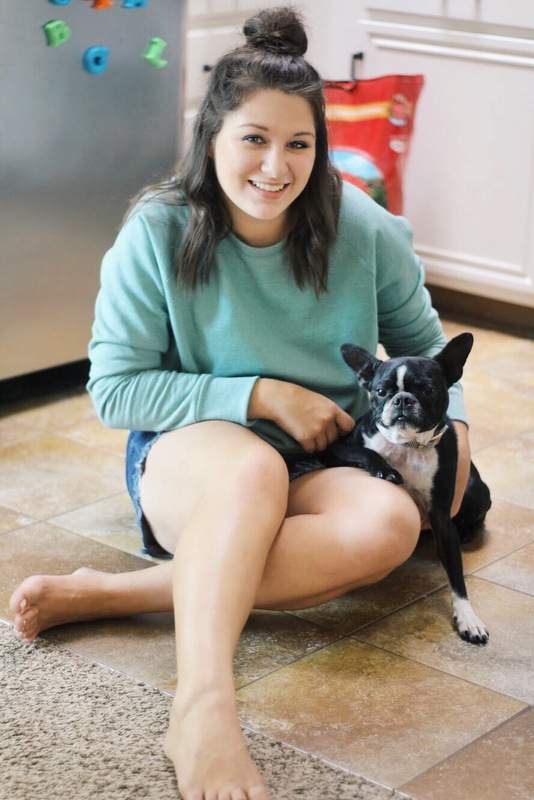 Since I know many of you are dog moms like me, I'm going to share our allergy story, and how Purina ONE® dog food totally saved the day! We've had Winston for 5 years now and it wasn't until we moved out to the country that we really noticed his skin changing. He'd always been a scratcher, but it seemed running through the tall grass and wild foliage was really taking a toll on him. For two full years we filled our calendars with expensive vet visits, tried every dog and human medication recommended, even put socks on his feet, to no avail. He was beginning to hurt himself and was at risk for infection and we didn't know where to turn! Finally, I read that his diet could have an affect on his skin and decided to start testing out some new foods. 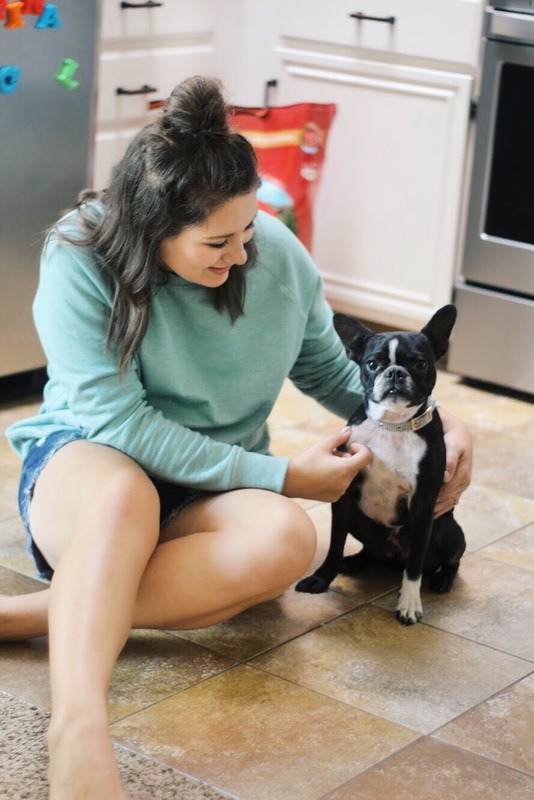 After much trial and error, we finally settled on Purina ONE® Chicken & Rice Adult Dog Food and we haven't looked back! 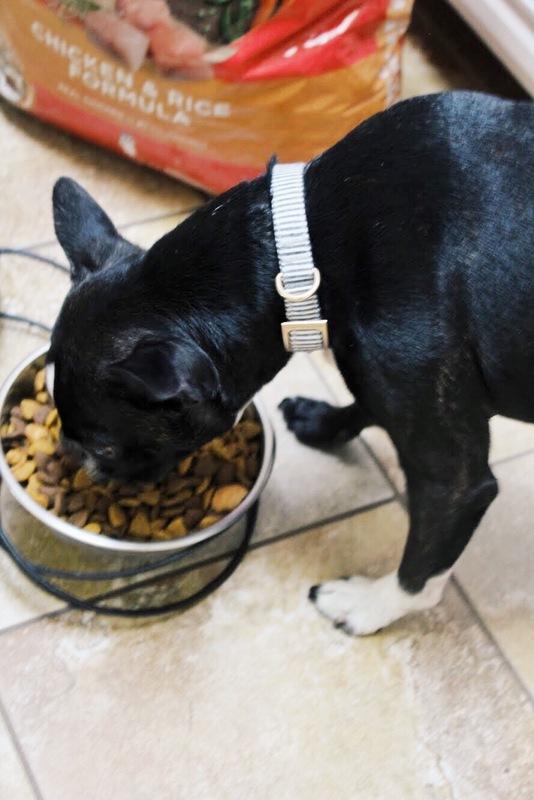 Their foods are created with carefully selected ingredients in their own USA facilities, and their meticulous quality and safety standards ensure they provide the best nutrition for your pet. It's that extra attention to detail that showed Purina cared about our dog's health and made Purina ONE® the obvious choice for us. Within a month we were seeing visible differences. What's amazing is we didn't have to bust our budget to keep up the changes. 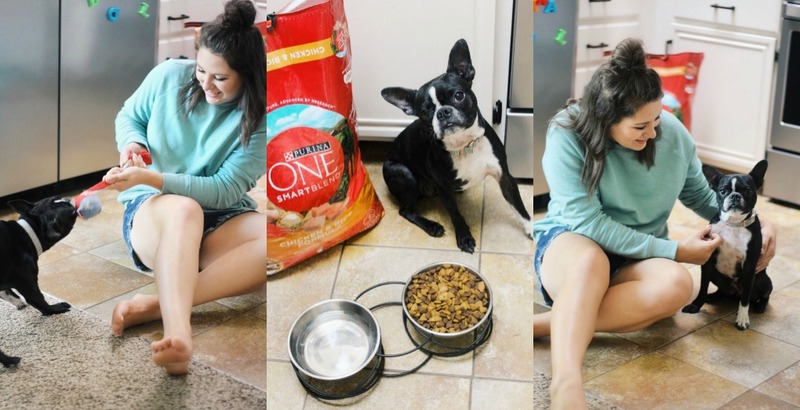 Purina ONE® Chicken & Rice Adult Dog Food is incredibly affordable on it's own, but we always buy it at Target to up our savings even further! Target often has gift card with purchase promos which you can pair with manufacturer's coupons AND Target coupons AND Cartwheel for even more savings! 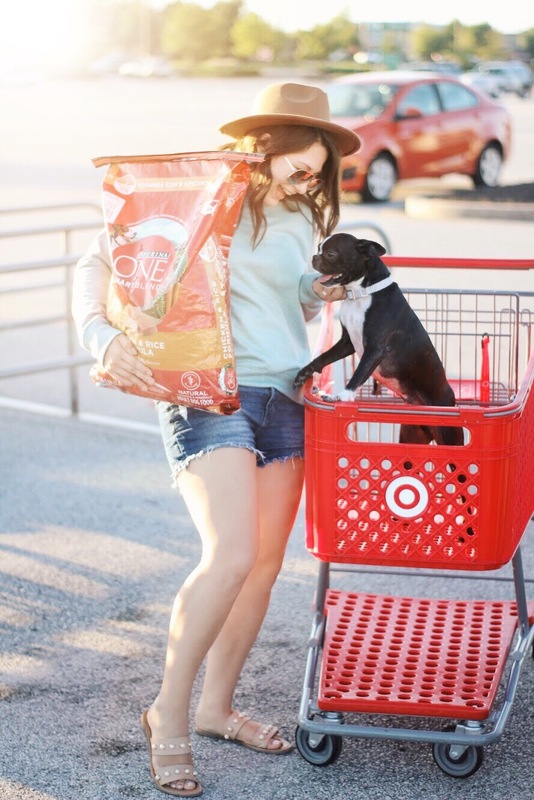 In fact, right now (9/19-10/13) you can print a coupon for a FREE $5 Target GiftCard™ with a Purina® pet food, litter, and/or treats purchase of $25 or more! You can even save another 5% off + free shipping when you subscribe to Purina ONE® at Target! Dog allergies are remarkably similar to human allergies, but humans aren't quite so close to the ground when they walk outside! Keeping your yard neat and trimmed will limit how much irritating pollen your dog comes into contact with. Wiping your pup's paws and coat with a grooming wipe can help capture some of the pollen that bothers him and decrease transfer to his bed. Those wipes aren't going to catch everything! How often do you wash your own bedding? 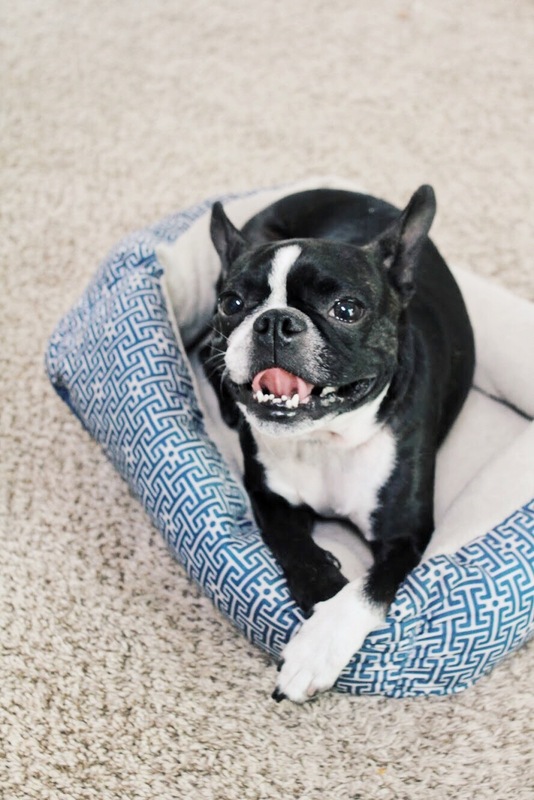 Make sure you're cleaning your furry friend's sleeping quarters at least as frequently as your own! When you're done scrubbing your pet's bed, you probably ought to scrub your pet, too! We tried a lot of shampoos with oatmeal and natural ingredients and found those with essential oils really did the trick. We battled Winston's allergies for so long without answers. I can't believe it's been 3 years since we switched him to Purina® ONE! The results we've seen in him are amazing and I love that we don't have to go broke trying to cure him! Are you ready to give your dog (or cat!) his best life? You could see a visible difference in 28 days when you make the switch to Purina® ONE. Sign up now to get a $3 off coupon and a personalized food recommendation for your pet! It definitely has benefits beyond allergy relief! 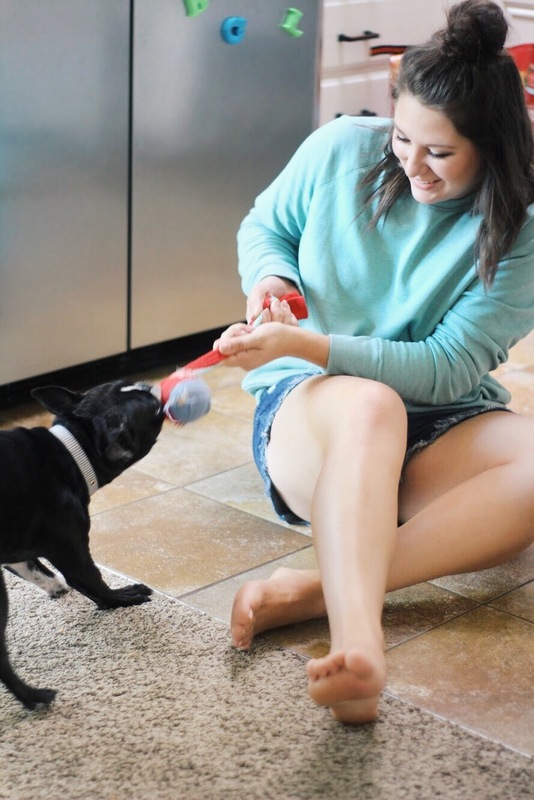 Each ingredient has a purpose, so it’s totally worth trying out for your pup! Allergies are no joke, for humans or pets. Thankfully my sweet pup doesn't struggle with allergies. What a cutie!! His face in that last pic 😂 He’s lucky to have an awesome family who takes such good care of him! Thank you! He can be a little crazy but he’s just another member of the family! Thank you! He does seem happy now that he's not itching all day long!